Cue the Star Wars music! 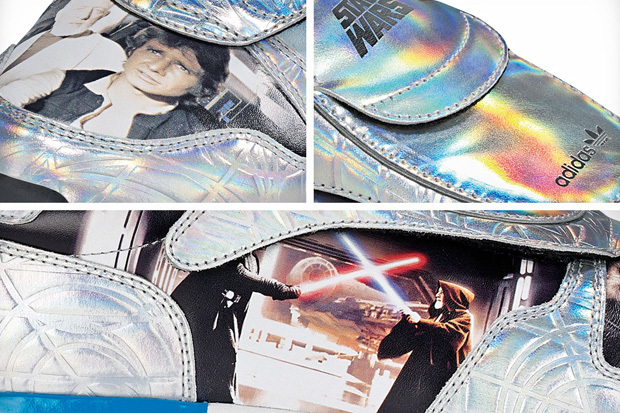 Fellow fans, rejoice - you can now wear your love for all things SW loud and proud - on your feet. 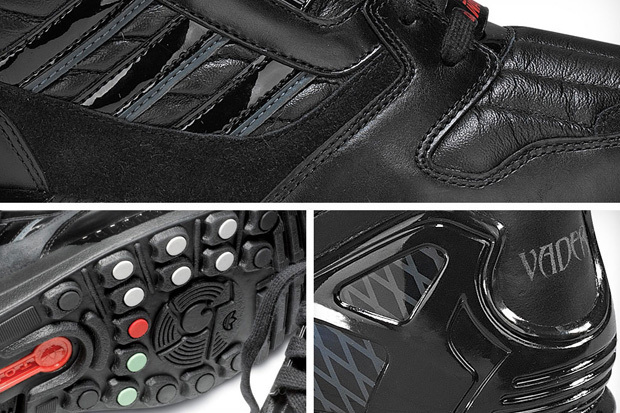 The folks at adidas Originals were either desperate for a new fan base or wanted to express their inner sci-fi selves. 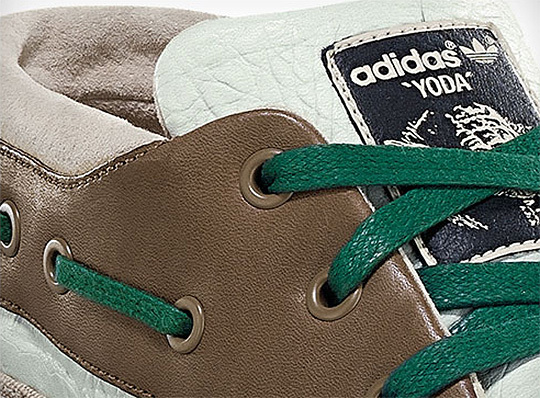 Regardless, the Spring/Summer 2010 collection will feature Star Wars-themed shoes and clothing. Select stores will start selling the goods in January 2010. The new collection "seamlessly fuses inspiration from legendary Star Wars characters and scenes with iconic adidas Originals silhouettes," according to the SW site. The VP of product marketing for adidas said, "Like adidas Originals, the Star Wars brand has a long and rich history of being a leader, leaving an indelible mark on pop culture. For fans of the films, sneaker heads or those that love fun and fresh designs, the collection gives you the chance to find the Force or join the dark side." Really? You're comparing your shoes to one of the greatest cinematic trilogies of all time? Anyway, more revelations are planned for the Fall/Winter 2010 collection as well. 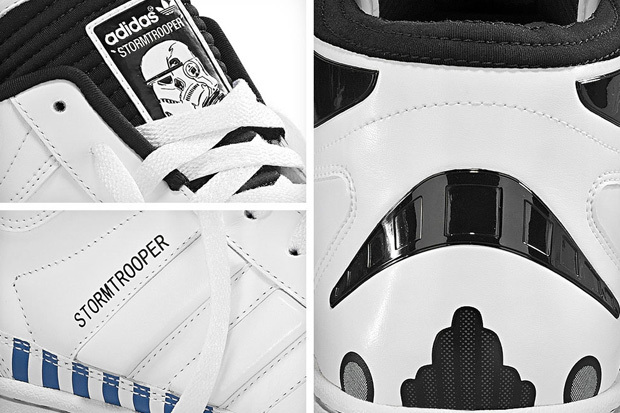 The back of the stormtrooper sneakers get my vote so far as the coolest - I love that they put the "face" there. 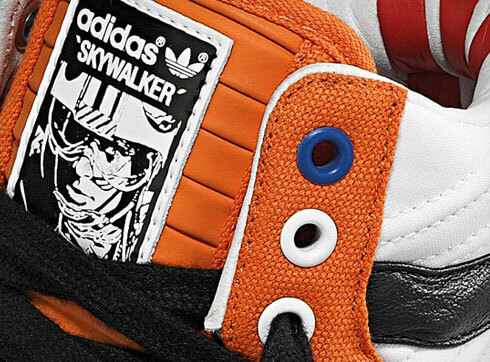 Luke Skywalker's shoe is inspired by his orange Rebel flight suit, Darth Vader's is - surprise - black (I like the multi-colored buttons inspired by the life-support unit on his chest, but they're on the sole of the shoe), Yoda's has forest/swamp colors, and Han Solo's is...umm...different. Sneak peeks below. *Hat tip to my geek-enabling huz.